Weather has made a sudden change this week. What seemed like never ending heat has stopped and become cloudy and cold. We are getting a nice amount of rain this year so far, let’s hope it continues to rain steady this winter. Water temp dropped to 58-60 degrees and it has been overcast and rainy for the past few days. The lake level is dropping fast, the island off hetch hetchy will pop the surface soon exposing itself. Trout have been biting but not like they were, Stripers have put a hurt on the population this week. I’m waiting for the next plant so we can see some more fish coming in the marina. 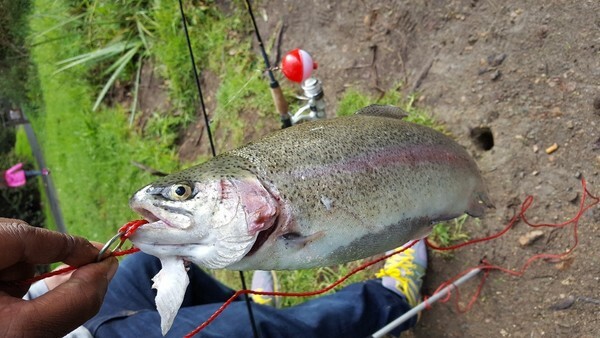 Trout have been slamming on shore from the East beach to West beach. Power Bait and other Berkeley products are the go to bait for fishermen. 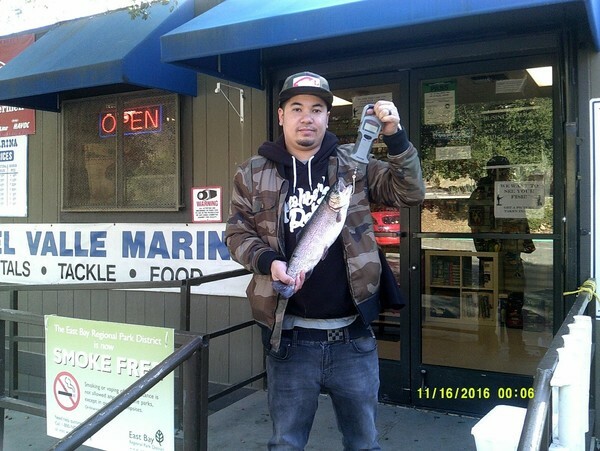 Trout have been biting on the East beach on Berkeley products. Power eggs and worm combos and mice tails are pretty much the same thing and are the go to bait right now. Kastmasters, Panther martins, and Rapalas are great lures to cast for trout as well. Swim baits are starting to get hit but not swallowed. Striped bass are on shad but the trophy fish are chasing planted trout. Some Striped bass are eating swimbaits, chicken livers, and anchovies. As the level of the lake gets lower and the temperature drops, fishing for these big pigs will be a battle of fish and man!